2018 is already a landmark year for data protection and privacy. The GDPR brought in the biggest changes in privacy for decades, and it’s impacting on organisations of all sizes. 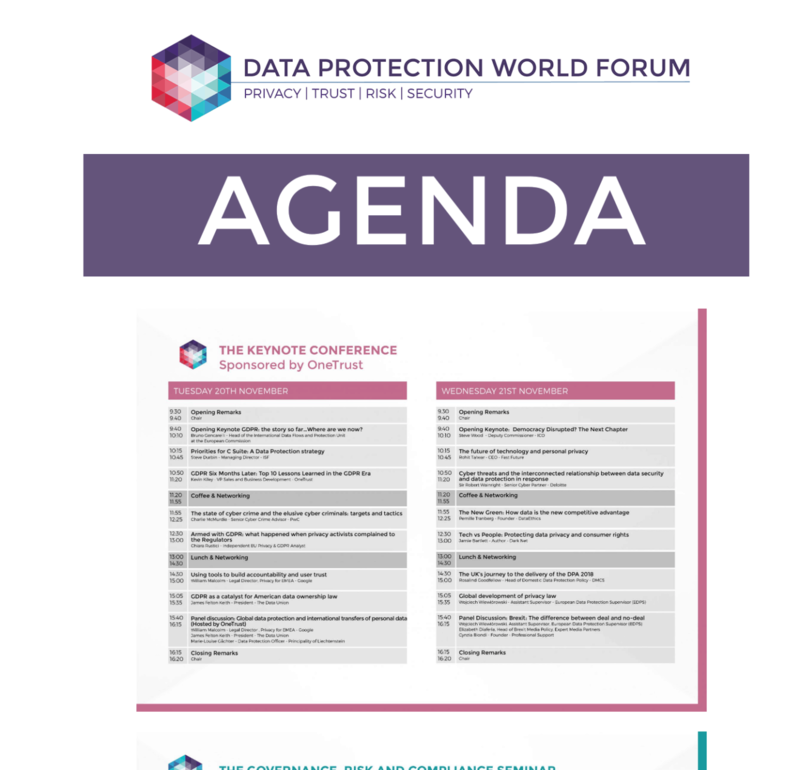 The Data Protection World Forum will help you tackle all of this, with some expert seminar speakers, authoritative keynotes and a packed 2-day agenda, all taking place at ExCeL, London on 20 – 21 November. See what’s on, book your free tickets and we’ll meet you there!